Home Our agency / Who we are Why translate your website ? Having your e-commerce or e-tourism website translated lets you access the international scene. Trust us: with our support you will expand your clientele and increase your revenue. We guarantee native-level, qualified, localized translations. Native-level: your translation projects are handled by professional native speakers. Qualified: all our translators are graduates with experience and references. Localized: our translators exclusively translate into their native language. They use local, culturally relevant expressions from their country. With Milega, you’ll never receive a literal translation again. All our translations are adapted to local markets, embracing the target culture while keeping the text’s original intention unaltered. That is what we call Transcreation. A website in French can reach 3% of the world’s webusers. Adding Spanish, Chinese and English makes it visible to 60% of them. 9 out of 10 web users prefer using a website in their native language. 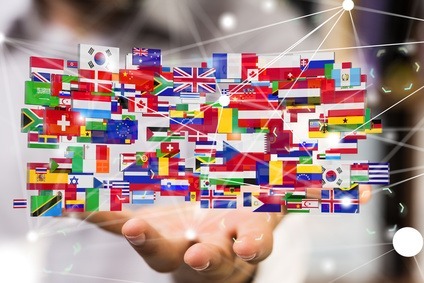 Consumers are 5 times more likely to make an online purchase if the website is in their native language. Do you want your website to go international? Having your website translated is key to improving visibility. An estimated 42% of European web users are not willing stay on a website in a foreign language. Thinking that an English version alone is enough to internationalize your website is a misconception. Trust is essential, especially when talking about the e-commerce sector. When making your website international, it is crucial to create an environment of trust and generate proximity to your clients. Do you want prospective clients to trust you and complete their purchases? Then remember they don’t want to feel like they are browsing a translated website. What they want is a local website that addresses them in their own language.